Injection Molds and Injection Molding. Located in Central Long Island, New York. We manufacture to meet your requirements! ISO9001 and AS9100 Certified Quality Assurance.30 Years of Reliable, Quality Moldmaking, Injection Molds, Injection Molding, and Precision CNC Machined Parts and Assemblies. VISIT us and inspect our manufacturing facility. MINICO specializes in Engineering, Designing and Manufacturing Plastic Injection Molds and Plastic Parts. Our company is especially adept in providing complete project management and cost effective tooling and plastic components. Tap our expertise and production capabilities for your Injection Molds and Injection Molded Plastic Parts. Expert Mold Design capability using the latest CAD systems, including Moldflow analysis. 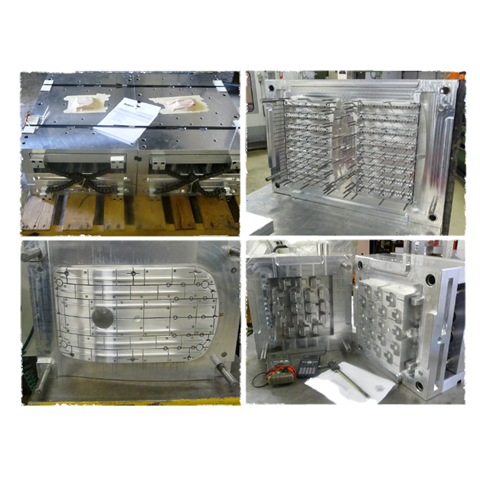 Injection Molds backed by our full service and support team to keep you producing. Large Plastic Injection Molding capabilities through our close relationships with key molders. Consider that our “Hybrid Aluminum Production Injection Molds” offer faster cycle times, faster delivery, and lower costs over steel tooling. And they can meet your "high quantity" production requirements!